Updated: Updated review to make it specific for Verizon's network. 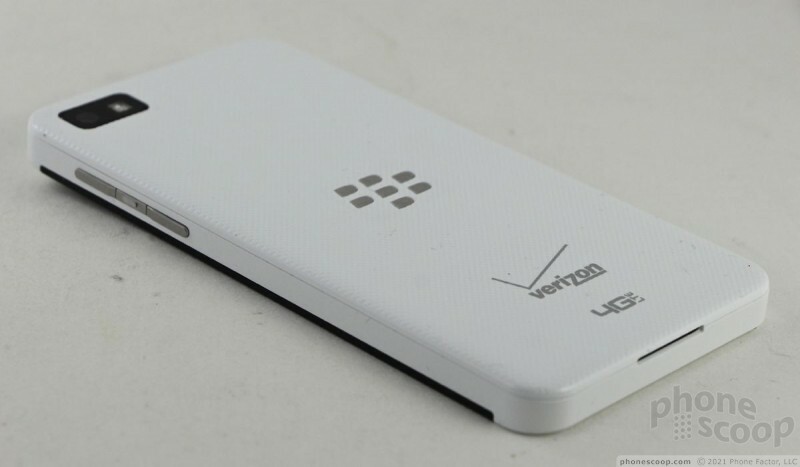 Verizon's variant of the BlackBerry Z10 differs little from those of AT&T and T-Mobile USA. 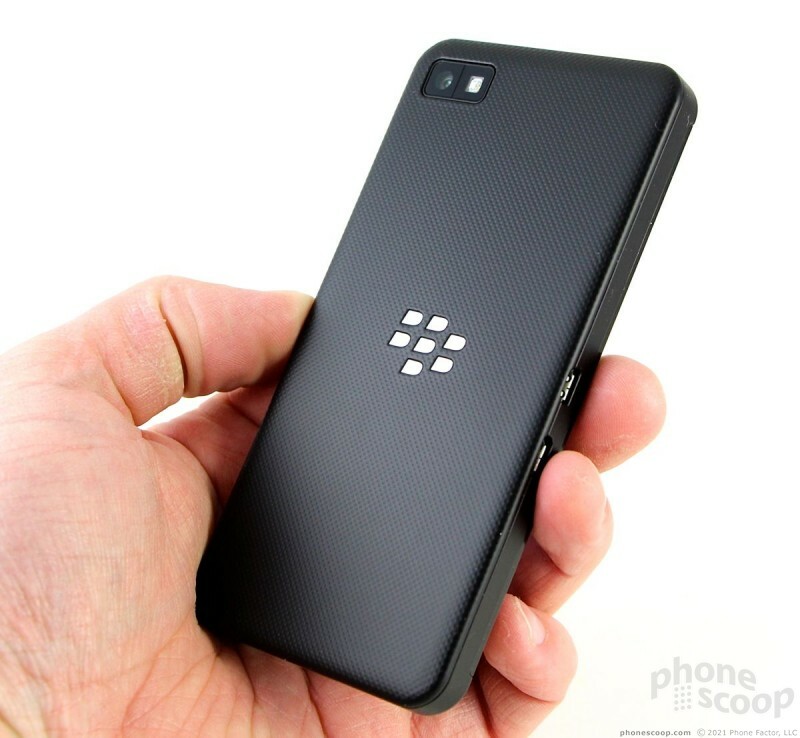 If you strayed from your beloved BlackBerry over the years because you coveted the large screens of popular Android devices, the Z10 may be the BlackBerry that gets you to return to your smartphone roots of old. 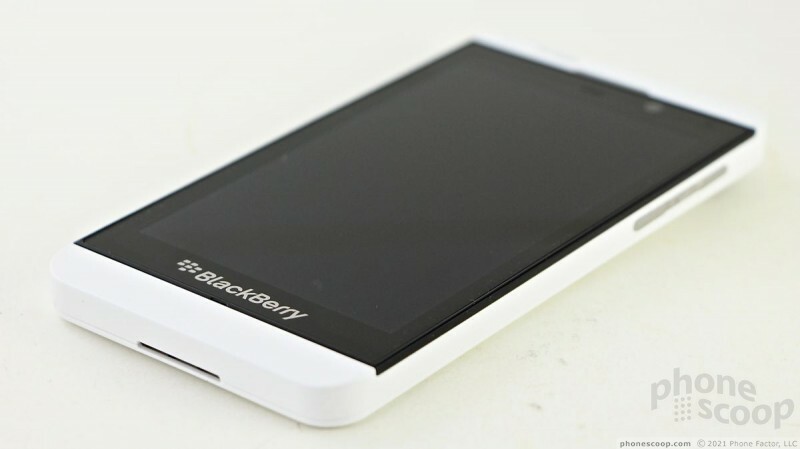 The BlackBerry Z10 is a conservative slab that still manages to exude the essential qualities of the BlackBerry brand. The most popular BlackBerries of the past decade had QWERTY keyboards for typing. 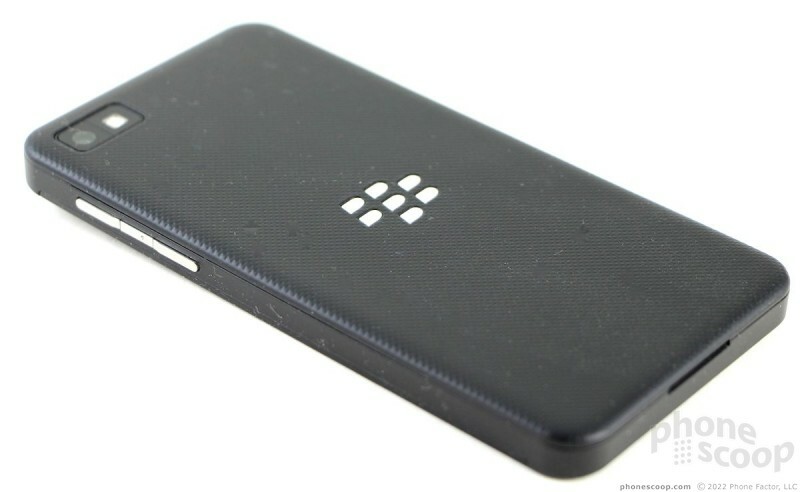 The Z10 doesn't, but that doesn't make it any less a BlackBerry. 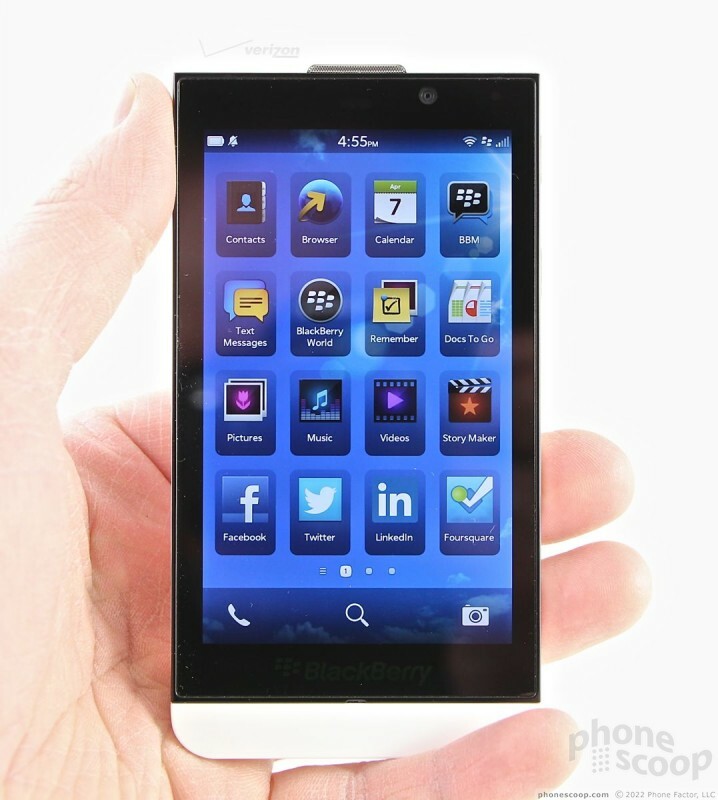 If there's one device in BlackBerry's historical lineup that the Z10 resembles, it would be the PlayBook tablet. Trust me when I say this makes sense in its own way. The PlayBook was actually BlackBerry's first stab at a brand new operating system. 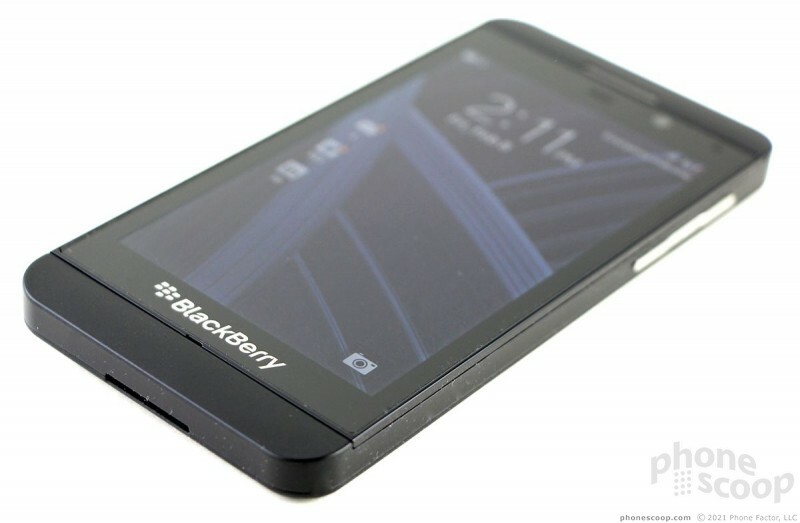 In fact, PlayBook OS and BlackBerry 10 are based on the same QNX core. 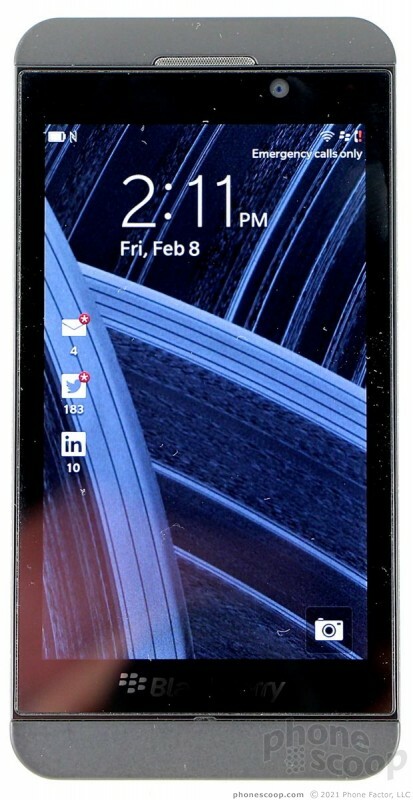 This is why it doesn't surprise me to see PlayBook design cues and features on the Z10. It's a simple rectangular block. 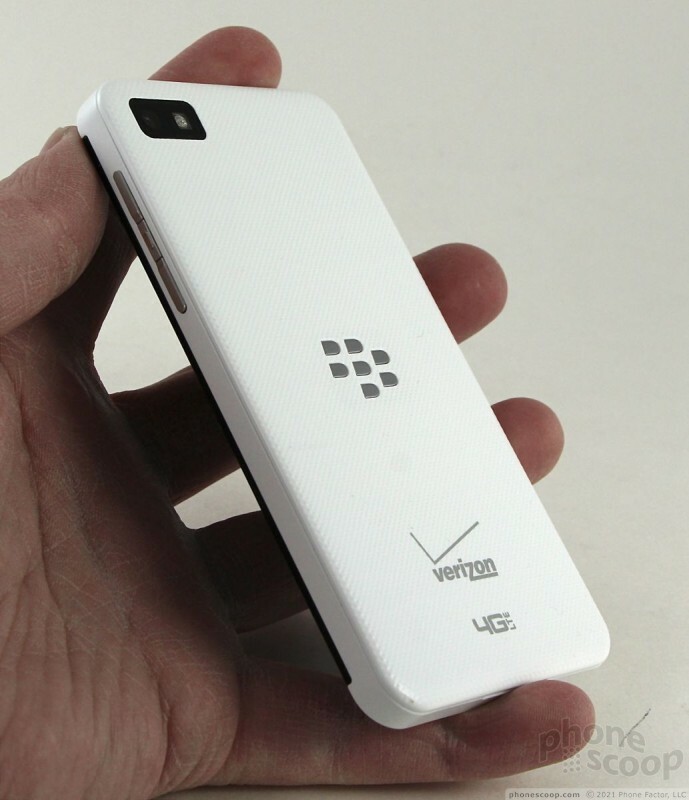 There aren't any artistic flairs or other flashy materials or lines in the Z10's design. It looks a bit like the PlayBook would were it shrunk by two-thirds. The front is mostly glass, but has plastic bands above and below the glass that frame it a bit. The glass runs all the way to the side edges and forms a sharp right angle. 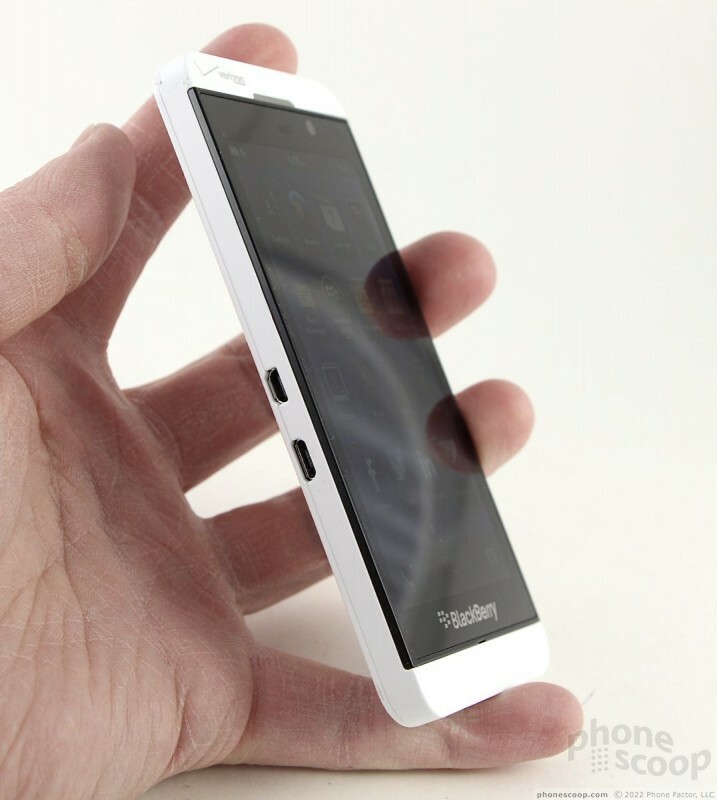 The sides are flat enough that the Z10 can stand on them unassisted. The battery cover encompasses the entire back surface. The angle between the back and side surfaces is not as sharp as the front, but it certainly isn't gentle or curved. 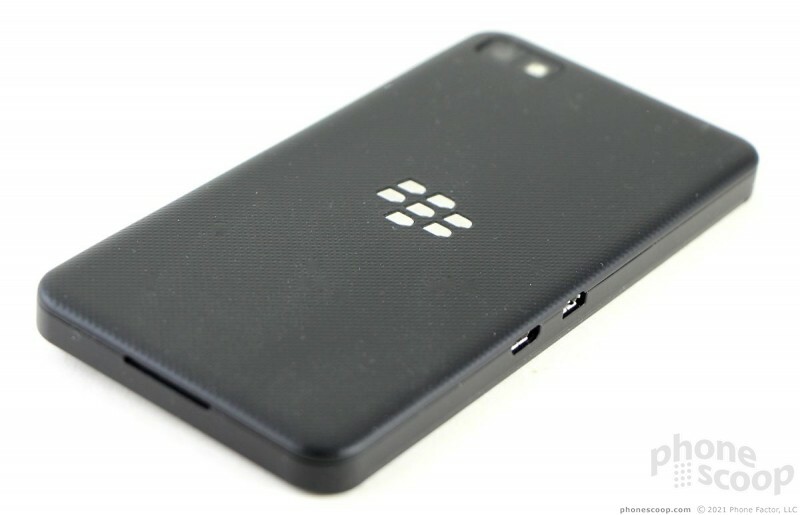 The overall impression left by the Z10 as you hold it is good. The quality of the materials is good, but short of excellent. The build quality is also good, and also short of excellent. It is made mostly of plastics, and you can tell. The back surface has a dimpled pattern to it and a soft-touch finish. It is not a slippery phone. The size and weight are decent. It's not light, nor is it heavy; it's not too large, either. It fits in jean pockets without trouble, but the shoebox shape makes it easy to feel when you're out for a walk. 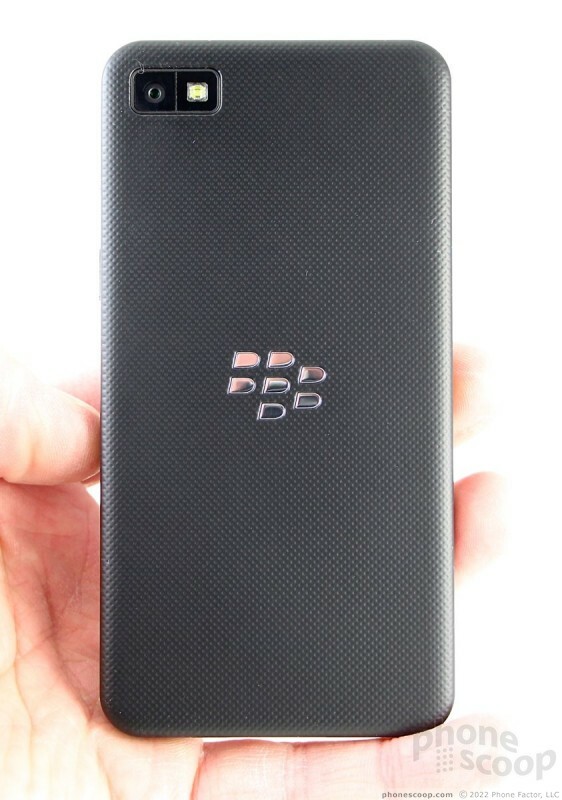 There are no buttons or controls on the front of the Z10. The user-facing camera and sensor array are barely visible in the bezel surrounding the screen. 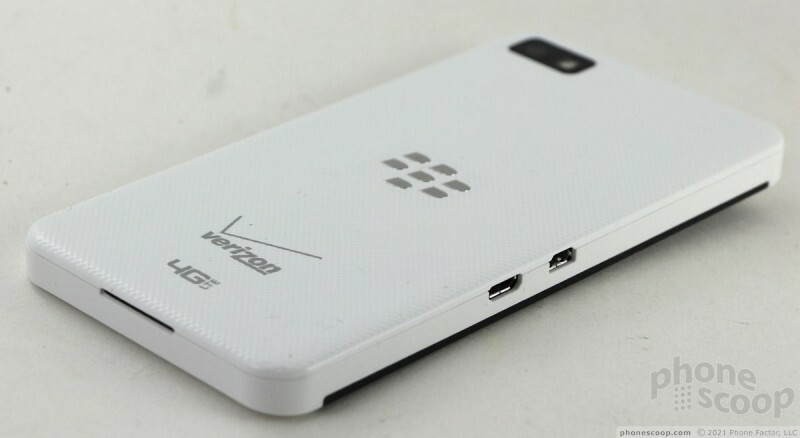 The Z10 includes both microUSB and microHDMI ports, which are positioned on the left side. There are no ports on the bottom. 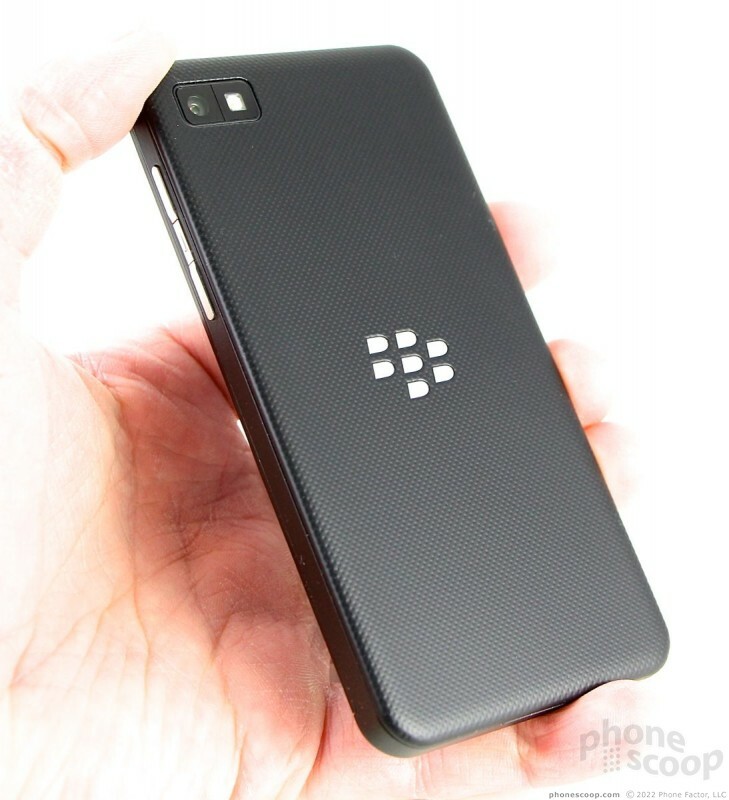 BlackBerry was sure to include its triple-action button on the right side of the Z10. It's basically a volume toggle with a user-defined action button in the middle. I found this button to work well. Both the up and down buttons have good travel and feedback, and the center button does, too. If you're worried you won't be able to tell which is which, fret not. The design is such that it is easy to figure out what you're pressing. The screen lock button is on top, positioned smack in the middle. Thanks to the flat shape of the top surface, the lock screen button is easy to find and use. The feedback is quite good. The standard stereo headphone jack is next to it. The battery cover peels off without issue. Underneath, you'll find the removable battery (something not all modern phones can claim to have), a slot for microSD cards, and SIM card slot. The battery, which is long and narrow, needs to be pulled in order to get at the SIM card slot, but the microSD card can be swapped at will. 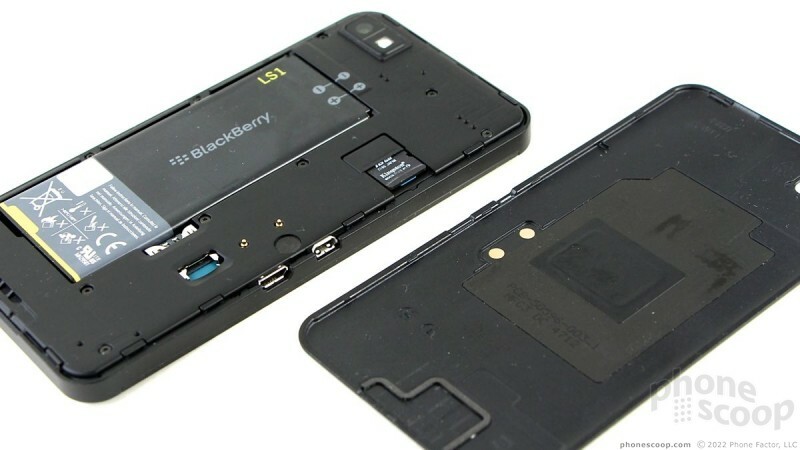 The Z10 will (eventually) have a replacement battery cover that allows it to charge wirelessly (the pins are evident on the chassis). 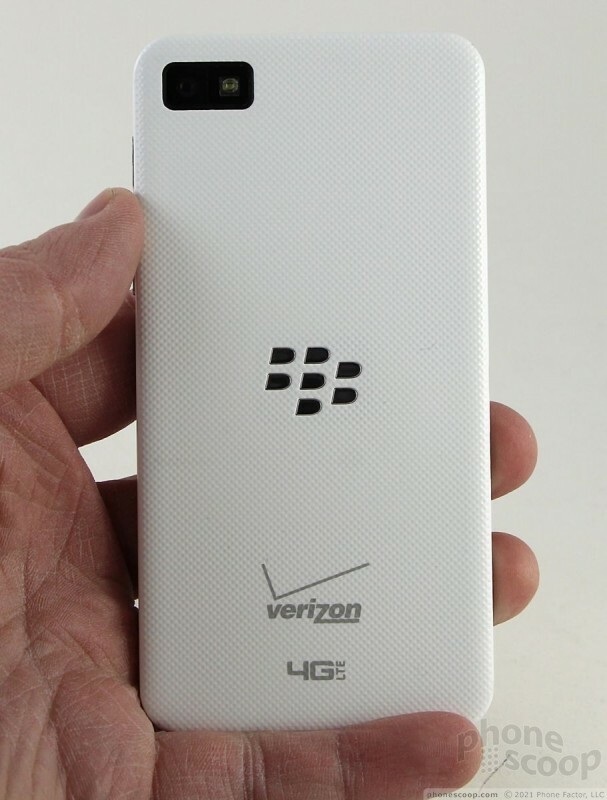 If you look at the inside of the battery cover, you can clearly see where the NFC antenna is, buried under the stylized BlackBerry logo. 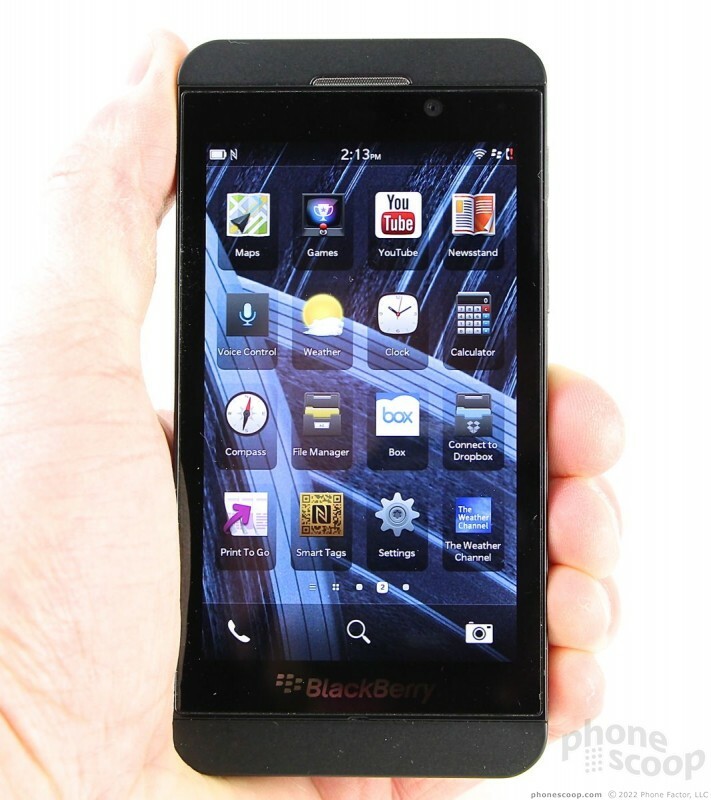 In all, I'd rate the Z10 hardware as very good. It could be a little better, but not by much. 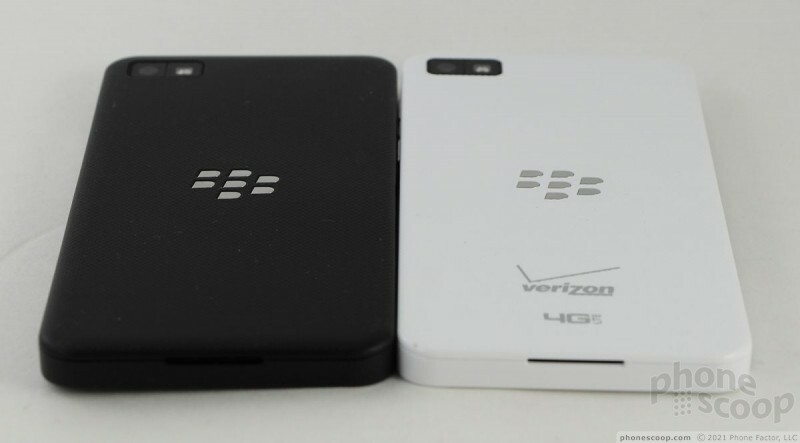 All four of the major U.S. wireless network operators have committed to support the new BlackBerry 10 platform and Z10 and Q10 smartphones from BlackBerry. Research In Motion today formally introduced all the core features of BlackBery 10, its brand new operating system. 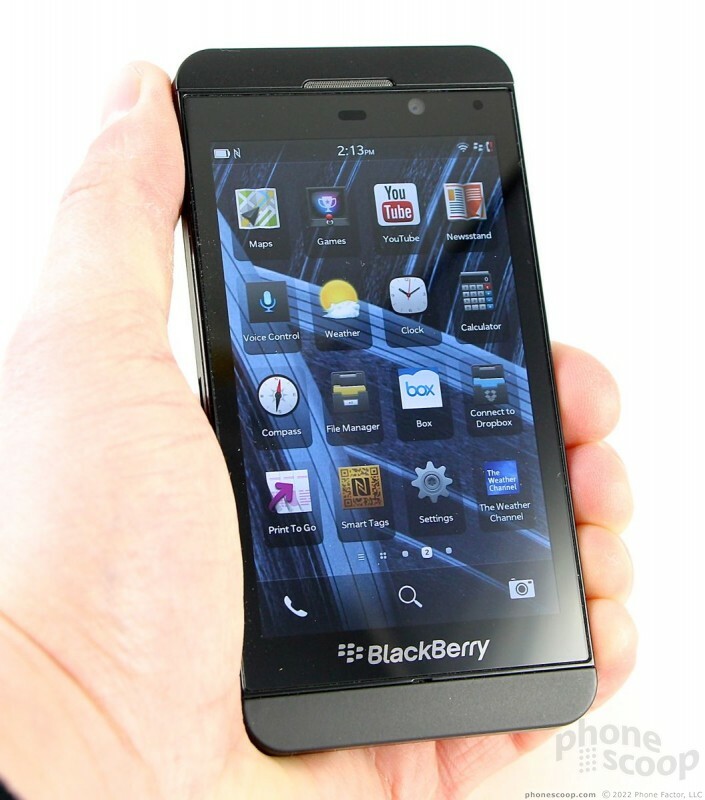 BlackBerry 10 is a wholly new platform built on a QNX core with a new gesture-based user interface. Do you guys "break in" your batteries before review? Modern Li-Ion batteries are not supposed to require that. If that effect exists, it is very small. Just went over to speak to my buddy about this after reading the review on this site. He said he was having similar battery problems, however, he stated that the battery life has been increasing substantially every day. First day he got 6 horus out of it, second it lasted for 10, and he said that the last few days, it has gotten him all the way through the day. Device also looks and feels great. The top and bottom edges are slightly tapered so it slides into your pocket. The otterbox design is horrible - it leaves bezzle (sp?) exposed at the bottom of the screen. Six hours of battery life? I Just Can't Get Excited About This One. The US smartphone market is vicious and as much as we whine and cry for an alternative to the two major OS' s currently leading the market they are leading the market because that's what people are buying and that is what app developers are writing for so they will get paid. Android is highly versatile and there is enough variety in hardware and manufactures that a buyer doesn't feel pigron holed. If you do choose to go this way your variety of hardware is reduced to 2 choices. Yes, I am aware that Apple only has one choice other than color, memory and generation but to be fair, Apple is different, PLUS they offer an entire eco system that the iSheep cuddle up with at night like a child's security blanket that BB doesnt offer. 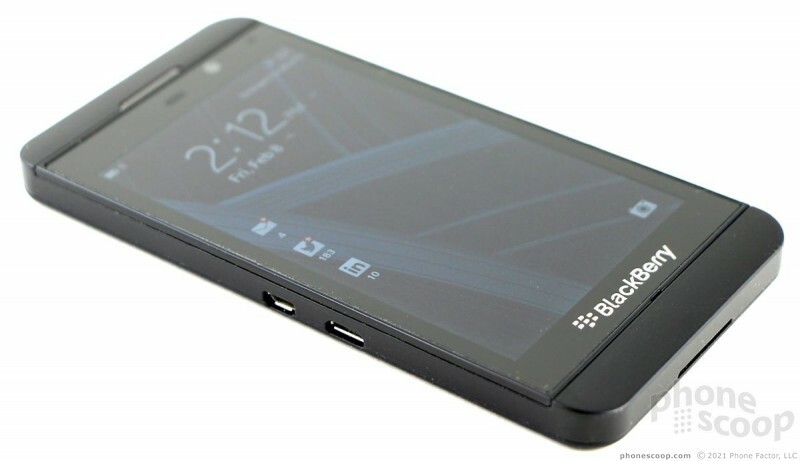 Blackberry is testing the waters first to see if they can win back US market share. I dont think they can survive with WP or Nokia type market share so then they will look at other options. Selling the hardware division would be first. is why people who don't use the glitchy parts of an OS should care. So its a 3G phone? Not LTE? "The Z10 unit we have on hand is not optimized for use on any of the U.S. networks, but it is compatible with AT&T's 3G network and T-Mobile's 2G network. " We did not review a version with LTE for the U.S. But versions specifically for U.S. carriers will have LTE. You can see the full specs on our spec pages, linked at the bottom of each page of the article. I always wanted a good reason to go to Blackberry. And I am still wanting that. Just dont expect the phone to be a gaming powerhouse or media machine. Other than that you are good to go. After reading this review this phone is average at best and battery life is unacceptable. Question for Eric/Rich. Have you tried syncing the phone to a Mac computer? Any difference with the BlackBerry Desktop Manager between a PC and Mac? I'm curious to know since traditionally BB and Mac have not worked so well. The new BlackBerry Link app is a piece of garbage. I tried to sync music/photos and never succeeded.